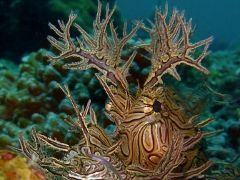 Welcome to Diving 4 Images, Indonesia’s premier dive guide service and trip organiser for the underwater photographer, film-makers be it amateur or pro. 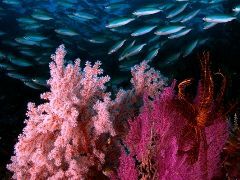 We also cater for the more discerning diver who wants a little more from their dive experience. “Famous photographers and film makers think Graham is the best but he works equally hard for everyone on his trips, professionals and amateurs alike.” Mary H – a regular diver on Diving 4 Images trips. Since 2002 Diving 4 Images has been running customised and highly personalised dive trips for professional underwater photographers and film-makers, enthusiasts and those interested in the marine environment. 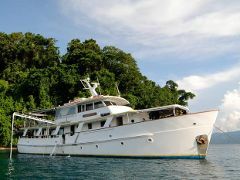 Diving 4 Images has become the dive operator of choice for many of the best dive professionals when they come to Indonesia as well as providing exceptional private charters for groups of divers who want to see the very best Indonesia has to offer. As part of our your trip we can also create your own photo gallery so some of those precious memories are captured forever. View a gallery from a private adventure expedition.